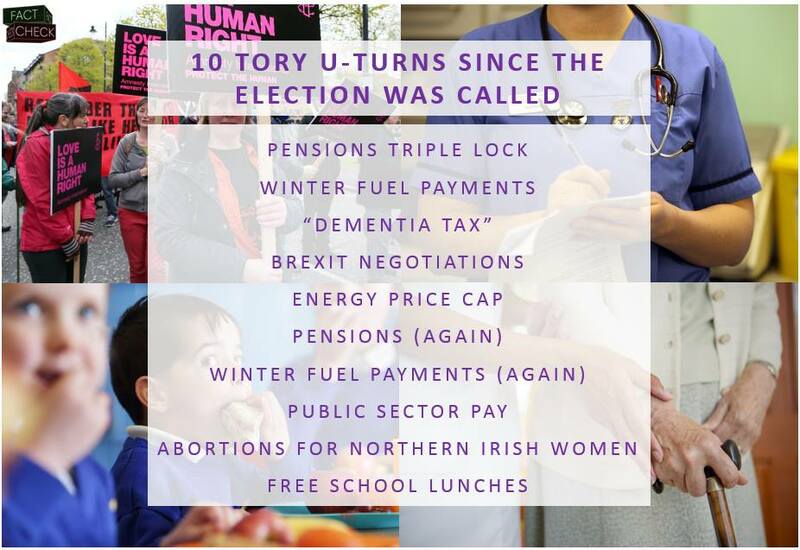 By creating a storm in a teacup over a non-existent election pledge from Labour to wipe out existing student debt, the Tories and their media cheerleaders are trying to hide 10 real U-turns made since the 2017 general election was called. 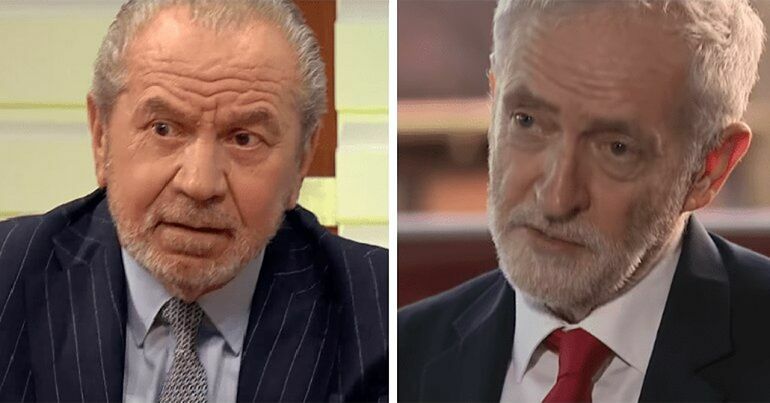 Earlier in the week, LBC radio presenter James O’Brien pinpointed the serious imbalance between media coverage of the student debt smear and their relative silence over “the Conservative Party’s abandonment of pretty much everything in the manifesto”. And he said it proved just “how bonkers British media has become”. Drop and downgrade the pensions triple lock. Means-test Winter Fuel Payments, essentially taking away the universal entitlement for pensioners. Reform the social care system (i.e. the ‘dementia tax’). Agree the terms of a future British relationship with the EU before moving forward with negotiations (an idea that the EU opposed and the government soon dropped). Introduce a cap on energy costs (a policy that seemed to disappear into thin air). Keep the pensions triple lock safe (as part of the Conservative-DUP deal). Protect Winter Fuel Payments (again thanks to the DUP deal). Review the public sector pay cap (not exactly a promise, but the government definitely created significant confusion). Not fund abortions for women from Northern Ireland. Scrap free school lunches for infants. Some of these U-turns, of course, were actually positive. But that doesn’t make them any less embarrassing for a ruling party currently trying to push a fake ‘U-turn’ smear on its main political opponent. And now, FactCheck has helpfully provided an image on Facebook, too. 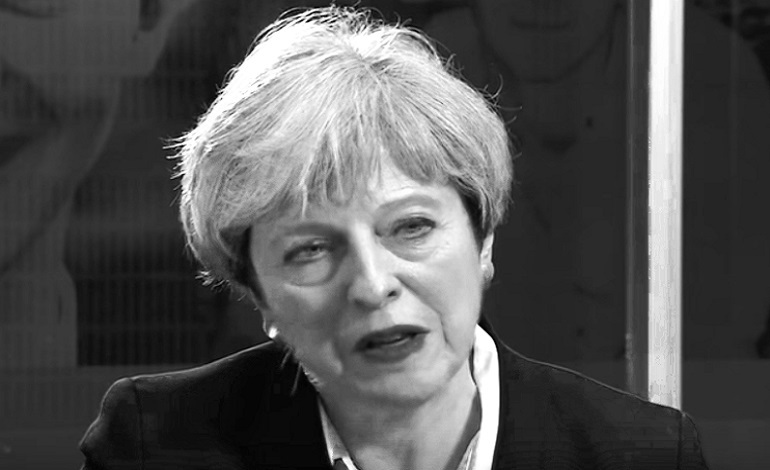 One that would probably annoy the Tories very much if people were to share it widely on social media. Quick, quick, let’s talk about something else! In spite of the best efforts of anti-Corbyn media outlets, hardly anyone in Britain actually believes the student debt smear. But there’s still an important lesson to learn from the behaviour of the panic-ridden pro-Tory press. The lesson? Just like the Conservative Party itself, they’re worried. As Foreign Secretary Boris Johnson admitted back in June, “the election did not turn out exactly as we would have hoped”. And for precisely that reason, the Tories and their media cheerleaders want to put the focus back on Corbyn’s Labour. Even if that means shouting about non-existent promises being broken. This is indicative of the state of Britain’s corporate media today. Diversion tactics. Misinformation. Double standards. And protecting the powerful rather than holding them to account. Britain deserves so much better.